Come and explore what 'home' might mean if you were to make a little book about it. Is it a concept more than a place? is it a dialogue, a poem, a series of pictures, perhaps? In this intensive 2.5 hour workshop we will immerse ourselves in ideas about home - we may listen to songs on the theme, read a little poetry or narrative, perhaps - all to whet the creative appetite for a few solid hours of making, connecting and discovering. I will bring all materials along - and you will learn some basic bookmaking techniques. 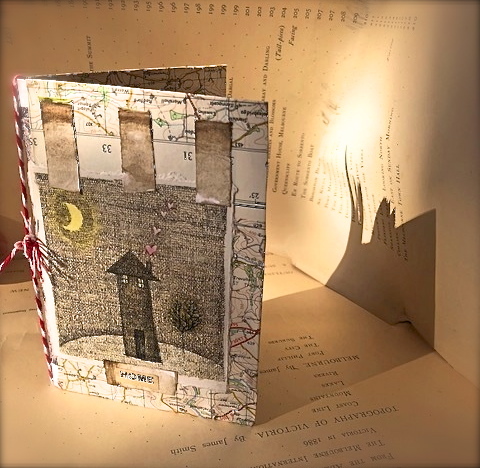 Feel free to also bring any ephemera, photos, texts or images you may want to include.Using mixed media we will fashion a small hand made book and begin to fill it with our ideas about home. The book can be added to as time goes on - you may end up inspired to make your own little 'HOME' library. Just bring your curiosity and imagination!